Welcome to our Wolves Den! principles support the Outdoor Code. 5. Talk to a military veteran, law enforcement officer, member of the fire department, or someone else who works for the community. Talk about his or her service to the community. After you have visited with the individual, write a short thank you note. each of these at home, at school, or in your community. present to your families at a den meeting. leader. After hiking, discuss how you showed respect for wildlife. is north on your map. for your family. Make a shopping list of the food used to prepare the meal. 2. 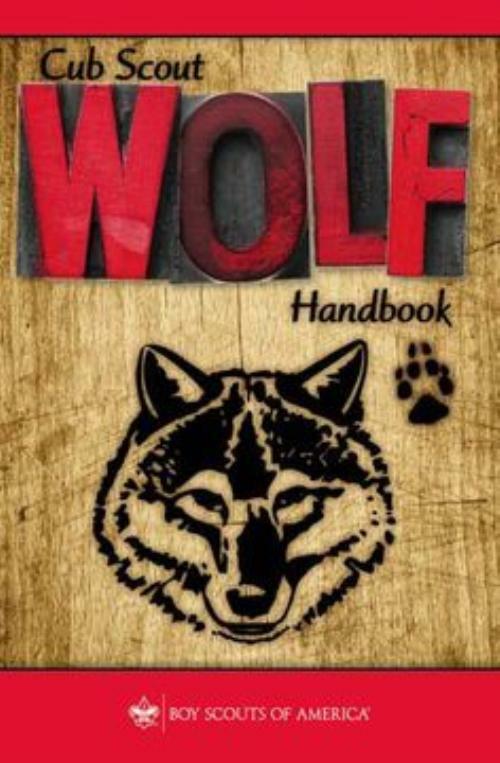 Complete one of the following Wolf elective adventures of your den or family’s choosing. detailing the pictures on it, the year it was made, and the mint where it was made. fly farther. Try it at least five times. with larger and smaller balloons. bounces differently when the amount of air changes. the right amount of air. Describe differences in how they move. 4. With your family, den, or pack, participate in a kite derby, space derby, or raingutter regatta. Explain how air helps the vehicle move..
materials that requires math to keep score. explain to your den how you used everyday math. 4, 6, 9, and 14.
write down where you see this shape or figure and how it is used. takes more steps to walk 100 feet. 15, 16–20, or more than 20.
ways a paleontologist works carefully during a dig. school, or other locations in your neighborhood. Use symbols to show parks, buildings, trees, and water. You can invent your own symbols. Be sure to include a key so your symbols can be identified. h. (Wolf elective adventure) Germs Alive! days. Share the results with your den. 4. As a den or family, honor a serviceman or servicewoman by sending a care package along with a note thanking them for their service. property of the plane leads you to make that prediction. make your prediction, launch the plane and measure how far it flies. 2. Make two different boats and sail them. supervision, jump into water that is at least chest-high, and swim 25 feet or more.